Why is the world in such incredible disarray and chaos? Simple. According to an explosive book, it is due to the deliberate skillfully managed disinformation campaign by those who are determined to rule over us by tearing down the true history of this country and especially the church, which provides strength to citizens who will not be enslaved. This is a threat to the Communist Party USA. The book, DISINFORMATION, lays it all out. The Socialist media have tried to keep this information out of sight. Not one "Mainstream Media" reporter or book critic has reviewed it and for good reason. Even the internet news has not paid close attention except for World Net Daily. Their publishing arm, WND Books Inc. thankfully put this book out. None of the secular publishers would touch it. Many book stores will not carry it. However, Barnes & Noble will order it for customers. That is how this reviewer obtained it. Concerned Americans must do the same to be prepared with knowledge that can help push against the onslaught that is encroaching upon us inch by inch. How many, like myself, actually believed that Pope Pius XII was "The Nazi Pope," who cooperated with Hitler? THIS is one of the results of Disinformation. In this case, the lie was carefully crafted in an attempt to weaken the church and eventually eliminate it, since Christianity is not compatible with Communism. And the church took a hit over this falsified identification. Pope Pius XII was not a Nazi sympathizer. 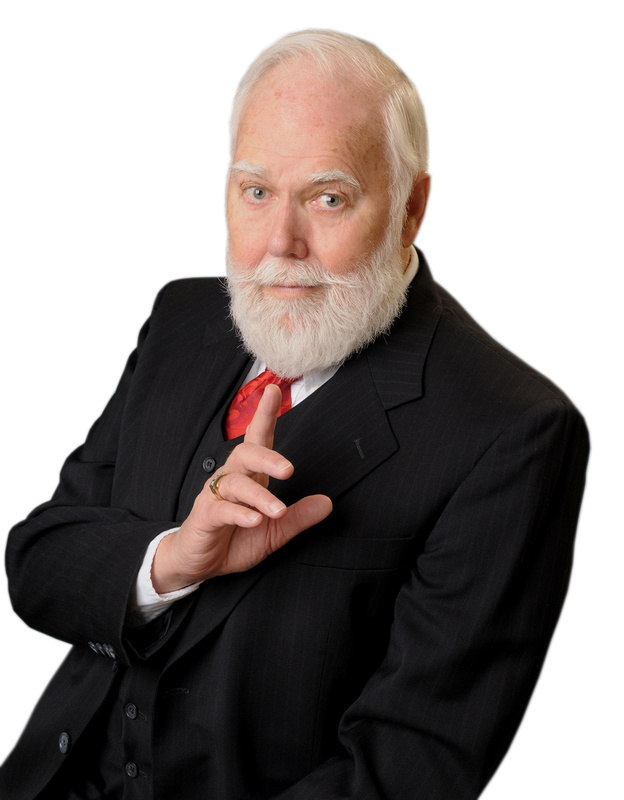 He was a devout man of God who personally saved countless Jews from Hitler's Holocaust. He was NOT a friend of the dictator, the SS, or the Nazi party. But many of us bought into this deceptive circulation of misinformation. Make no mistake about it: The Big Lie deployed against Christianity – against popes and bishops was and is orchestrated by the Communist Party which has been ongoing for decades. It is to be known that a supposedly "respectable" institution like the World Council of Churches have long been infiltrated and controlled by Russian intelligence. This reviewer knows this to be FACT after personally dealing with them, at their headquarters in New York City. This is only ONE example of churches and denominations being hijacked by the Communists. This effort to socialize America comes not only from without but from within, with an administration that was NOT voted in as widely accepted, but was PLACED there after years of preparation and deception by incredible voter fraud and in squeezing politicians to further their goal. The Communists are very patient in planning for the future. Nobody knows this better than the author of Disinformation, former Communist Chief of Romanian Intelligence, Lieutenant General, Ion Mihal Pacepa. He is the highest ranking intelligence officer to defect to the U.S. after realizing the resulting harm of his work. And because of the wide spread Communist presence in the U.S., the author must now live in an undisclosed location. With the help of co-author Professor Ronald J. Rychlak, they have produced the most eye-opening, shocking explanation of the falsified information in newspaper and TV news reports ever published. Lieutenant General Pacepa was very active in the crafting and placing this disinformation. He tells how he set this up and was able to get this in the public domain. It is a fascinating account. Topics such as: John Kerry, with stories widely circulated showing him as a traitor was concocted to turn Americans against their own leaders: Was President John F. Kennedy actually assassinated by the U.S.Government? That would really crush any confidence in our leadership which was and is the goal. Readers will be shocked to learn that what they have been led to believe by this campaign is designed to make us silent supporters of Socialism. The methods used have been ingenious. We can constantly see this misinformation spread by the media. Today there is a news item about the woman who threw a shoe at Hillary Clinton during a Las Vegas talk, which the Socialist media described as: "Frightening." But when a shoe was thrown at President Bush, the media described the shoe-thrower as "A folk hero." Also today's news (4/12/14) would have us believe, through the lips of Communist placed Obama, that the GOP is trying to 'restrict voting by requiring a photo ID.' By distorting this report, the AP states (as truth) that 'they need a passport or birth certificate to vote which puts a financial burden on the poor and minorities who can not vote as a result.' News Flash! There is no cost at all. They already have the photo ID which is used to get welfare, food stamps and Section 8 housing. So why not for voting? Because the Obama backers bussed in non-citizens and illegal immigrants from several countries with voting forms already filled out by those who bussed them there. Michigan is but one blatant example. It is fascinating how these events are totally framed by the leftist media to misdirect attention from the real issues. At this very moment, Russian soldiers are marching into other Ukrainian territories to forceably take control and put the entire nation under the Russian Flag. The next step for the Russians is already in the planning stage as it is for Obama. That is precisely what is about to take place in America IF the public does not allow themselves to be informed. 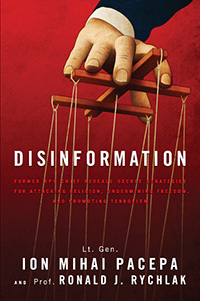 This book, Disinformation: (WND Books Inc. Washington D.C.2013), is information every citizen needs NOW. We cannot sit back and simply watch this happen and be manipulated to become unwitting supporters of a total Socialist takeover which will be the end of free life in America. This book is also available on Amazon. Photo Credit: WND Publishing Inc.